No buses ran on the X2 line in D.C. for hours Friday morning after drivers say Metro refused to protect them on the dangerous line -- and Metro says the drivers refused to drive. Metrobus drivers on the X2 line asked their supervisors for police escorts after a woman threw a cupful of her urine on a driver on Saturday. 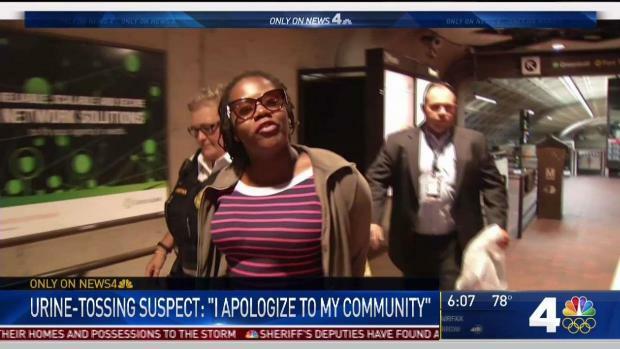 She told News4 the driver had been rude to her. The operators said on Friday that they cannot safely operate their buses following the attack Saturday and what they describe as years of inaction by management. Metro's largest union held a news conference Friday morning to demand better safety measures for drivers. "I'm not going to wait until one of my drivers is killed to say, 'You need to do something,'" union President Jackie Jeter said. "It's time to do something different." 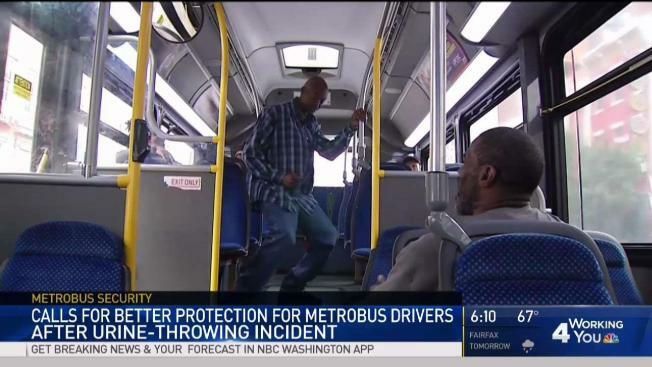 Dozens of Metro bus operators attended the court appearance on Thursday of the woman who confessed to throwing a cupful of her urine on a driver. News4's Mark Segraves reports. Jeter said drivers want Metro Transit Police officers or supervisors to ride on their buses with them. But Metro Transit Police Chief Ron Pavlik said that's not realistic. The dispute between WMATA and the union resulted in a service disruption on the X2 line Friday. WMATA says "operational problems" caused delays of as much as 20 minutes on the X2 line. But the union said on Twitter the delay occurred because WMATA pulled the X2 line out of service after the drivers requested police escorts. WMATA says the operators refused to drive the buses. "The union representing Metrobus Operators is currently engaged in an unauthorized and potentially unlawful labor action that is significantly impacting riders on the X2 line," the transit agency said in the statement. A woman who threw a cup of her own urine at a D.C. bus driver on Saturday turned herself in to police on Wednesday and told News4 the driver had been rude to her. But the union says their actions are not unlawful. "Screaming 'unlawful' every time the workforce exposes the dangers that Metro puts riders in only magnifies how little Metro is concerned about safety," the union said in a statement. Many riders on the X2 line said they would like to see added security, but Friday's delays left them frustrated and stranded. Pavlik said the department identified troublesome lines, and that officers do ride some of the buses, but putting an officer on every bus is just not realistic. "At any given time, there's 1,200 buses in operation," Pavlik said. "So, it's not a realistic expectation." After a series of attacks, Metro officials said in 2015 that the X2 route was the most dangerous in the city for drivers. Four bus drivers were assaulted on the X2 line in 2015 alone. 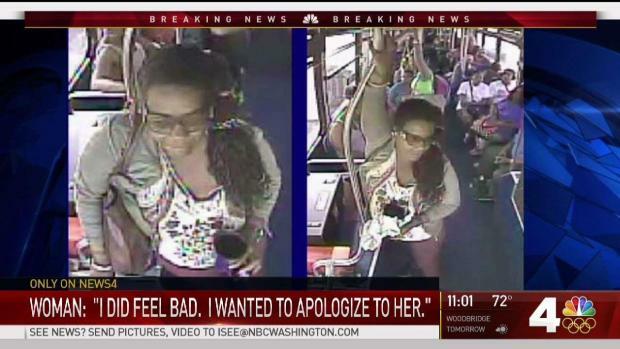 News4's Pat Collins was there the moment a D.C. woman was arrested for tossing a cupful of urine onto a city bus driver. "I'm sorry, y'all," but she had to get it!" Surveillance video from an X2 bus shows a woman, identified by police as Opal L. Brown, urinating into a purple to-go cup Saturday and then throwing the contents of the cup onto the driver. Brown told News4 she intended to throw the cup of urine away. Then, as she was about to get off the bus at Benning Road and Minnesota Avenue, the bus driver spoke to her. "She said 'Have a nice day' all sarcastically," Brown said. "She could have been more courteous." She threw the liquid onto the driver, who soon realized it was urine. The driver was taken to a hospital and "decontaminated," police said. The bus was taken out of service for cleaning. Police told News4 on Tuesday that there was no apparent motive for the assault. The female bus driver who was doused in urine has not returned to work since the attack Saturday, a Metro spokeswoman said Wednesday. 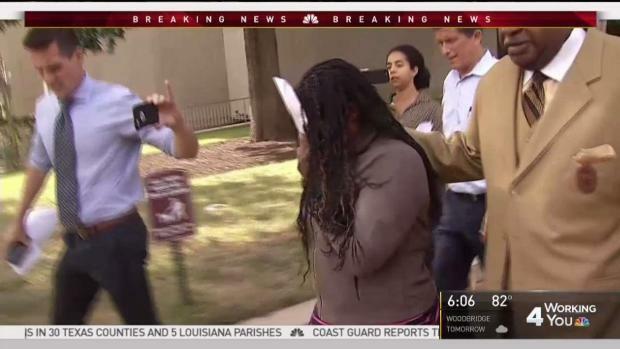 Brown was formally charged with assault Thursday afternoon and pleaded not guilty. Many members of the large Metro workers union Amalgamated Transit Union Local 689 attended Brown's hearing. They called for tougher penalties for anyone who assaults a bus driver. WMATA says they agree that laws need to be strengthened to help protect operators. The transit agency also says they've already taken several steps to address driver safety, including assigning nearly 40 Metro Transit Police officers to Metrobus, and installing protective shields and digital cameras on buses.